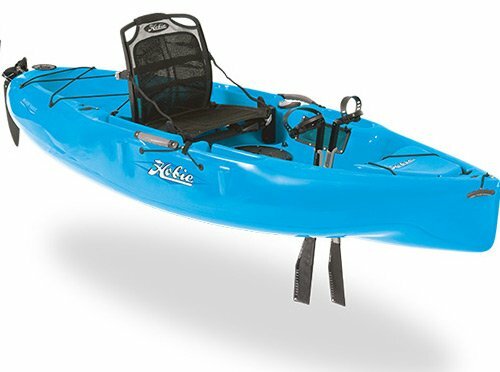 We stock a wide range of Hobie Kayaks in various colours for any activity! 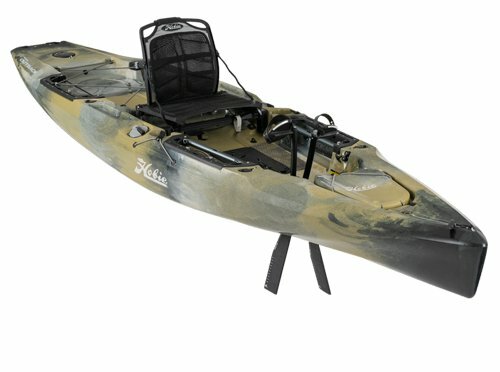 The Sport, Outback and 2 Person Outfitter, featuring more rod holders and open top trays in the gunnels allowing you to quickly place your lures when needing to change fishing tactics. 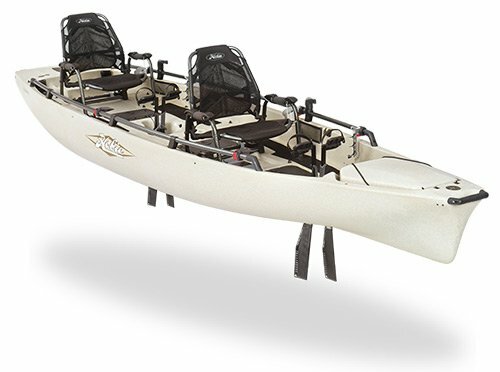 Also in the Fishing range is the Pro Angler series, available in 3 sizes, 12’ and 14’ in the single range as well as a large 17’ model to accommodate 2 people. 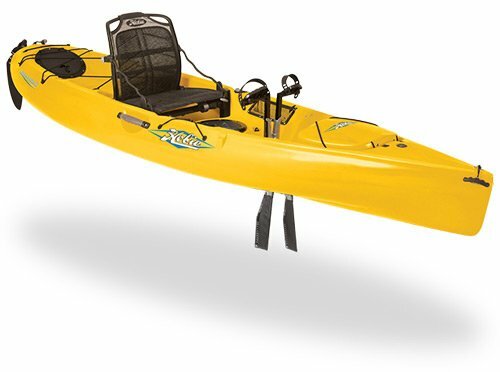 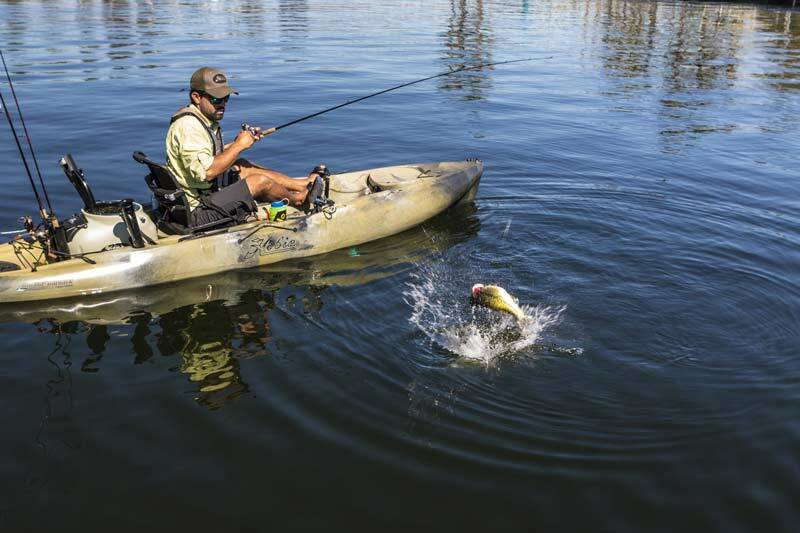 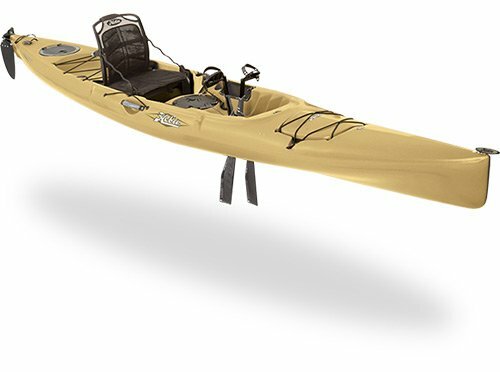 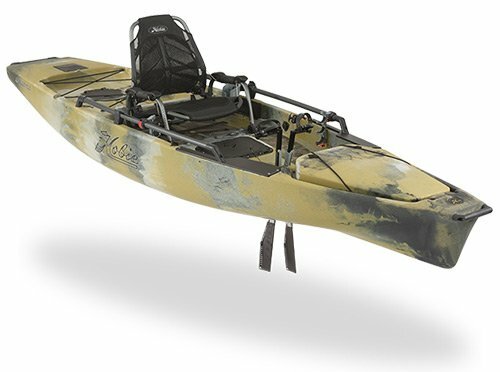 The ultimate fishing platform – the Pro Angler series is designed to be one of the most stable fishing kayaks on the market, ideal for the fisherman who wants to stand up and fish with less limitations. 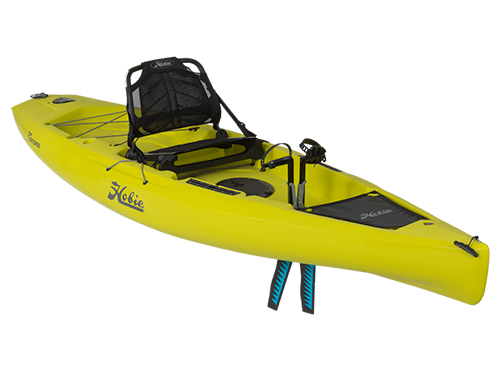 The Hobie Mirage Compass models are the ideal entry level kayak to get yo into the Mirage range. 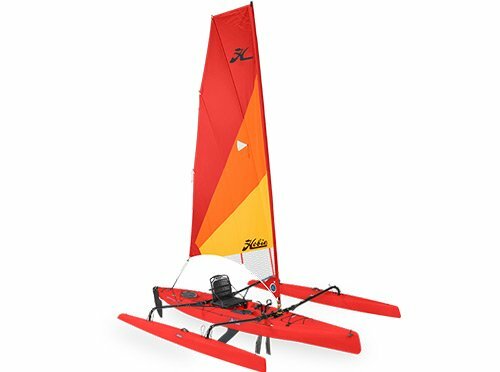 The Revolution series is designed with the touring kayaker in mind, with long slick hulls designed to cut through the water and waves, with plenty of onboard storage as well as large opening front hatches to store enough supplies for longer trips. 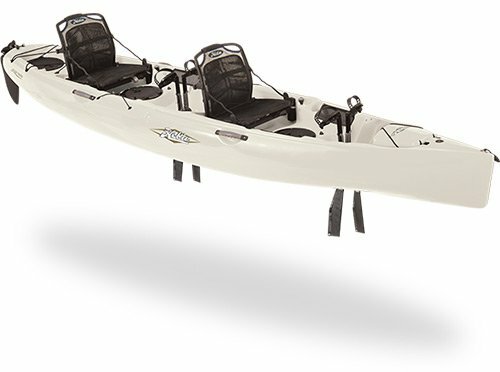 The Revolution range is available in 3 sizes, 11’ – 13’ and a longer 16’. 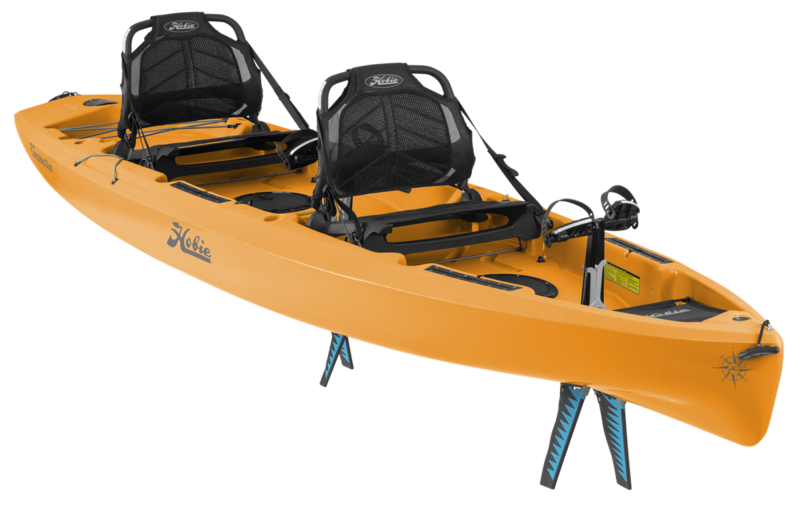 If you are looking to take a partner the Oasis is the ideal tandem kayak for touring. 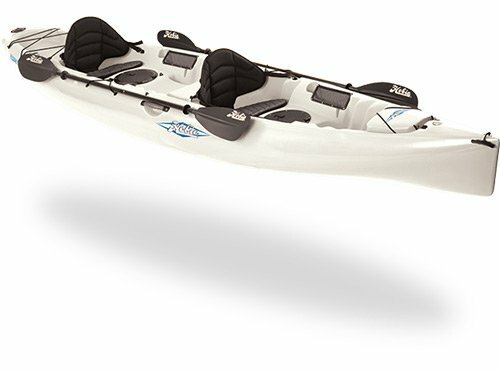 The Island range, available in single or tandem, the Island series the ultimate open water kayak. 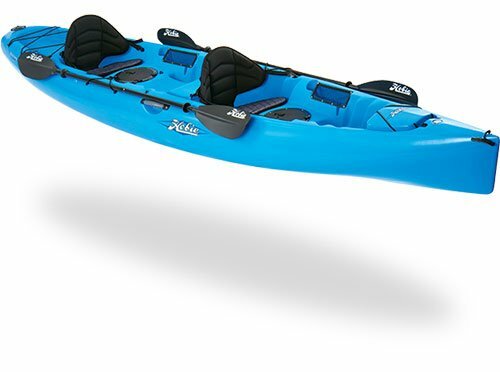 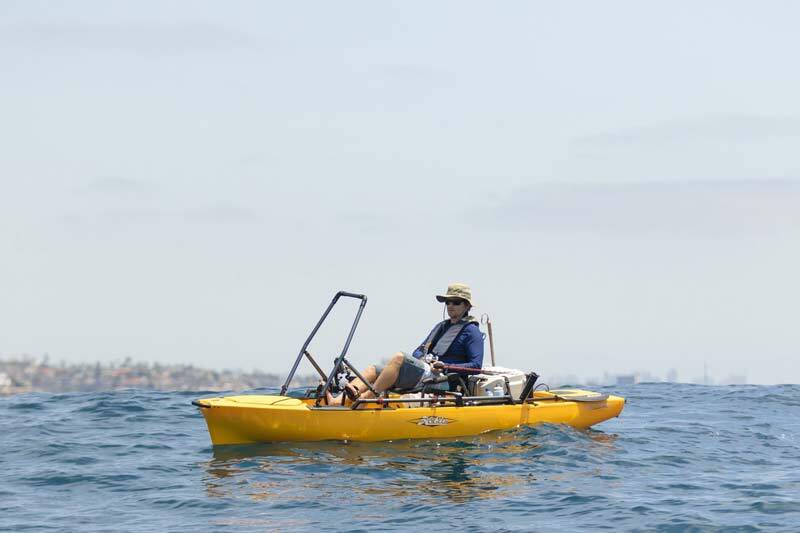 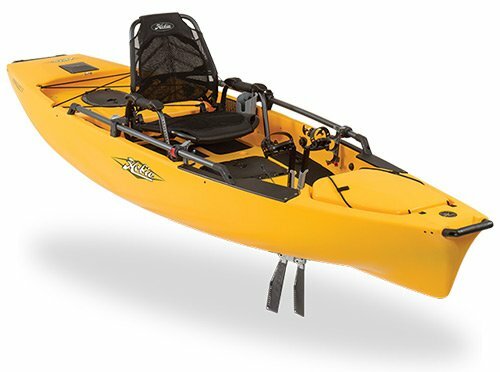 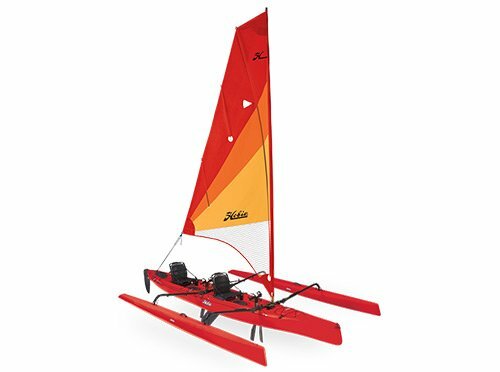 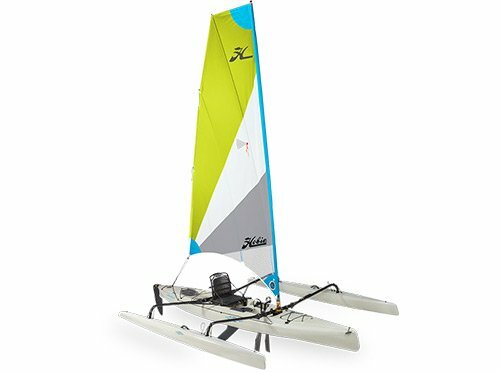 Featuring a large sail area and outriggers for stability, this kayak will rival any small sailing boat. 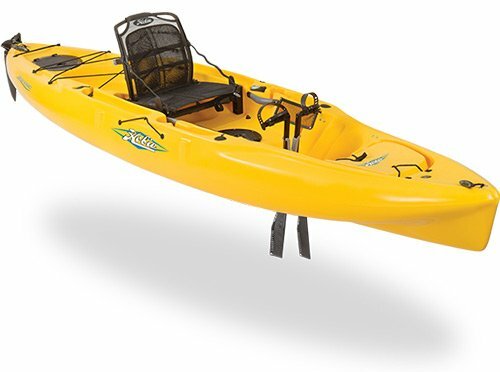 Add the optional trampolines for extra deck space and these kayaks can accommodate the entire family. 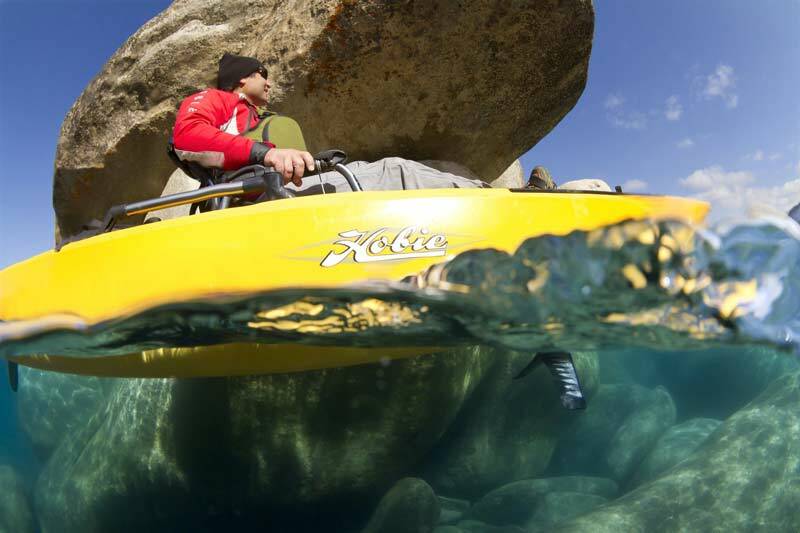 Tamar Marine is the only Hobie Kayaks dealer in Tasmania. 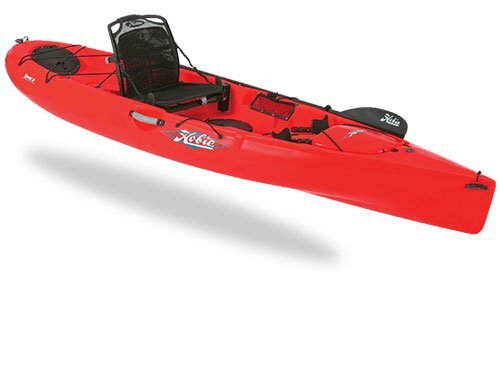 We keep most models in stock in a variety of colours. 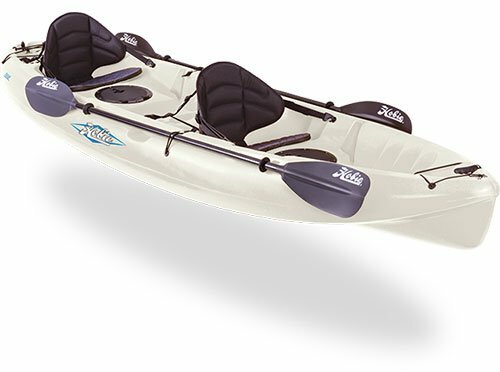 All Mirage Drive kayaks are supplied with Mirage Drives and Seats as well as a Paddle. 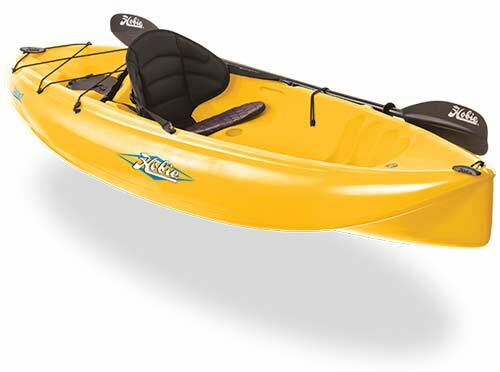 For your own safety Personal Flotation Devices should be worn at all times while out Kayaking (Legal Requirement). 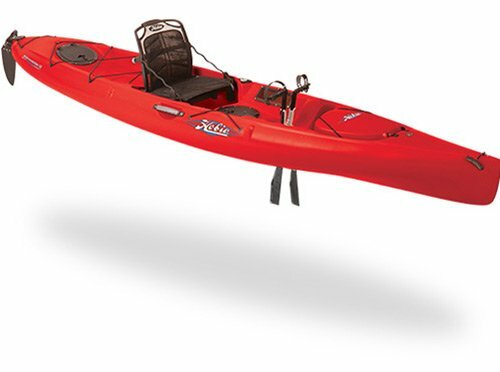 We have a huge range of Personal Flotation Devices to choose from.